is that I really don’t have that many “worthy” recipes to share. this type of cooking, but every day I’m getting better. prep, and hours later a yummy warm dish to chow down on. / primal / paleo side of the road. This recipe is my adaption of this short ribs recipe by Once A Month Mom. all sides. (About 5 minutes per side) Remove from pan and set aside. 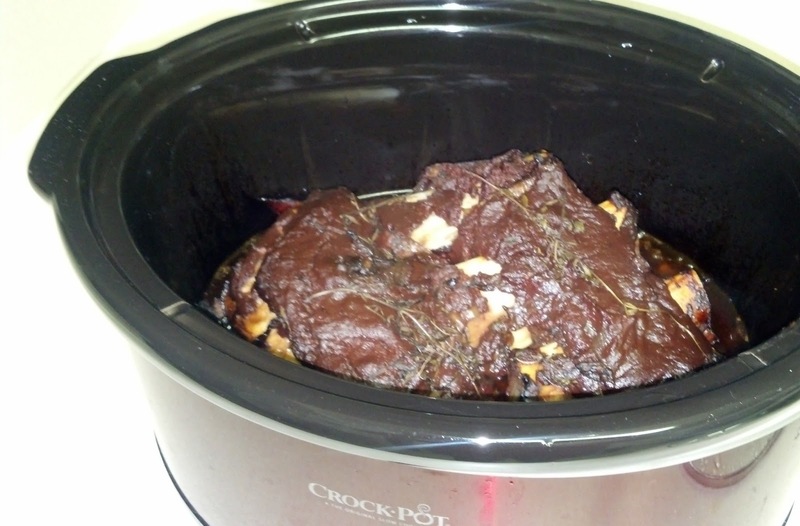 Place ribs in crockpot, cover with onion/garlic mixture. sauce, and honey. Pour on top of meat in crockpot. Add fresh thyme sprigs on top of meat. You are so kind Lisa! I was SO worried about sharing that pic, because once we started taste testing, we were hooked and completely forgot to take a picture of them all pretty. Next time I make them I'll totally try and get a better snapshot of them, so you can see their fullest yummy potential!